Six members of the Pitt swim team traveled to Ohio State University over the weekend to compete in the USA Swimming Winter National Championships. Competing in a highly competitive field — which included several 2016 Olympians — the team secured top spots. Senior Lina Rathsack led the team, notching three top-10 finishes. Rathsack, along with sophomore Valerie Daigneault, first-year Shahar Menahem, sophomore Brian Ramsey, first-year Ryan Schonbachler and sophomore Luke Smutny, traveled to Columbus, Ohio, for the massive invitational, with individual competitions beginning Thursday, Nov. 30, and concluding Saturday, Dec. 2. The individuals qualified by meeting time standards set by USA Swimming in their respective events. Some of the best swimming talent in the U.S. was on display during the competition, including three swimmers who helped set the men’s 4×100 medley relay olympic record alongside Michael Phelps at the 2016 Olympic Games — Nathan Adrian, Ryan Murphy and Cody Miller. Other Olympians included Melanie Margalis, Olivia Smoliga and Kelsi Worrell. Three Panthers swam well enough in preliminaries to qualify for finals on Thursday, with Daigneault, Rathsack and Smutny all earning second swims. Daigneault finished 14th in the 200-yard IM and Smutny finished 20th in the 500-yard freestyle, but it was Rathsack who paced the team on its first day, placing seventh in the 200-yard individual medley with a time of 1:58.39. Three Pitt swimmers — Ramsey, Rathsack and Daigneault — advanced to the second round of finals on Friday, with Rathsack once again leading the way by placing ninth in the 100-yard breastroke with a time of 59.89. Daigneault also made the second round of finals, this time in the 100-yard backstroke, where she contributed a 13th-place finish. After two straight days of top placements, Rathsack wrapped things up on Saturday with her best performance of the meet — a fourth-place finish in the 200-yard breaststroke with a time of 2.09.11, just .05 seconds shy of the Pitt record she set earlier this season at the Ohio State Invite. Smutny, Menaham and Daigneault chipped in quality finals performances as well. Smutny finished 11th in the 200-yard butterfly, while Menahem finished 18th and Daigneault 24th in the 200-yard backstroke. The meet continued a trend of competitive performance from Pitt swimmers this year. Since the season began Oct. 6, the women’s swim team has won eight of 10 dual meets, and has also set four Pitt records. 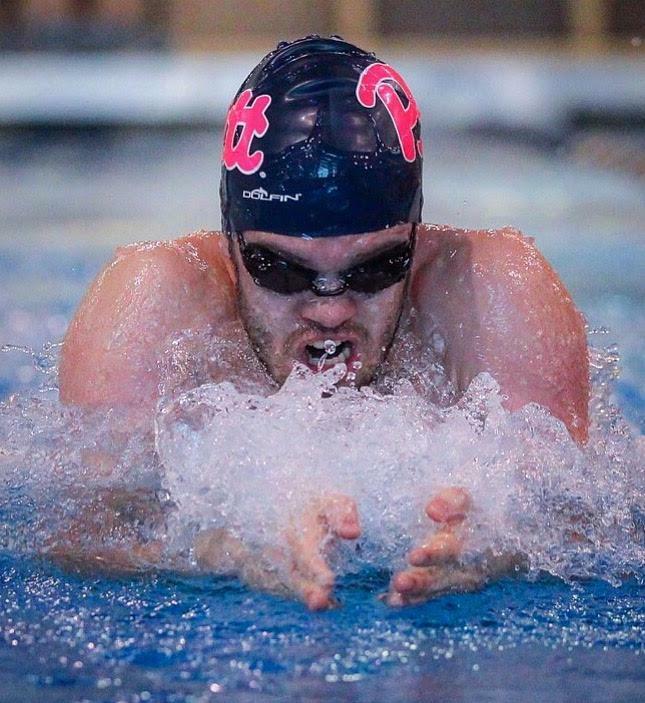 The men’s team has won five of seven dual meets, in addition to setting three school records. The team comes home for their next swim, as they host Pitt Christmas Meet at Trees Pool, beginning Dec. 14, and running through Dec. 17. It will be their last meet of 2017.